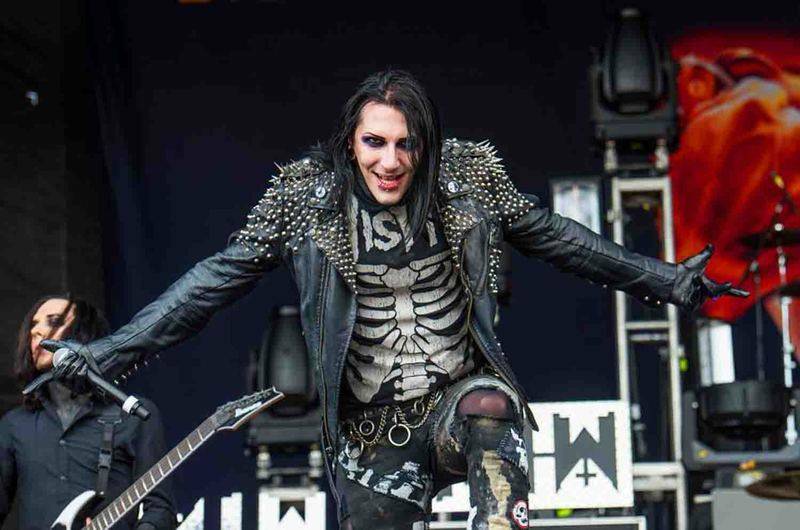 Motionless in White, often abbreviated MIW, is an American metalcore band from Scranton, Pennsylvania. Formed in 2005, the band consists of Chris "Motionless" Cerulli (lead vocals), Ricky "Horror" Olson (rhythm guitar), Devin "Ghost" Sola (bass), Ryan Sitkowski (lead guitar), and Vinny Mauro (drums). The band has stated that their band name derived from the Eighteen Visions song "Motionless and White".Motionless in White was signed to Fearless Records for their first three studio albums; their most recent fourth album, Graveyard Shift, was released on May 5, 2017, via Roadrunner Records. 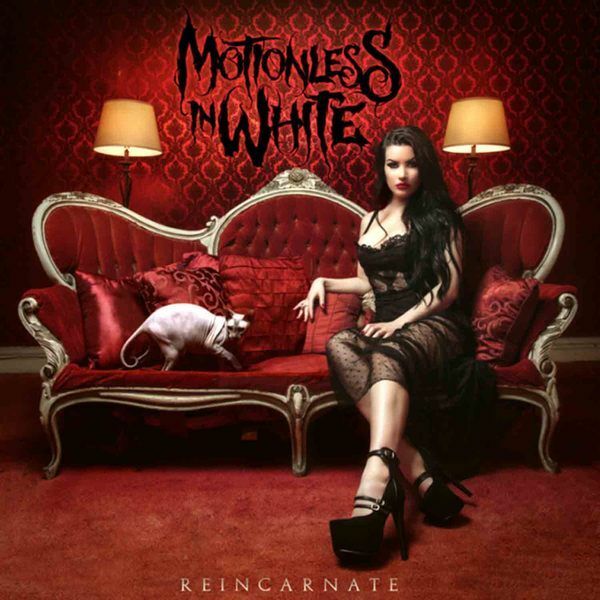 Reincarnate is the third studio album by American metalcore band Motionless in White, it was released on September 15, 2014 in the UK and a day later worldwide. 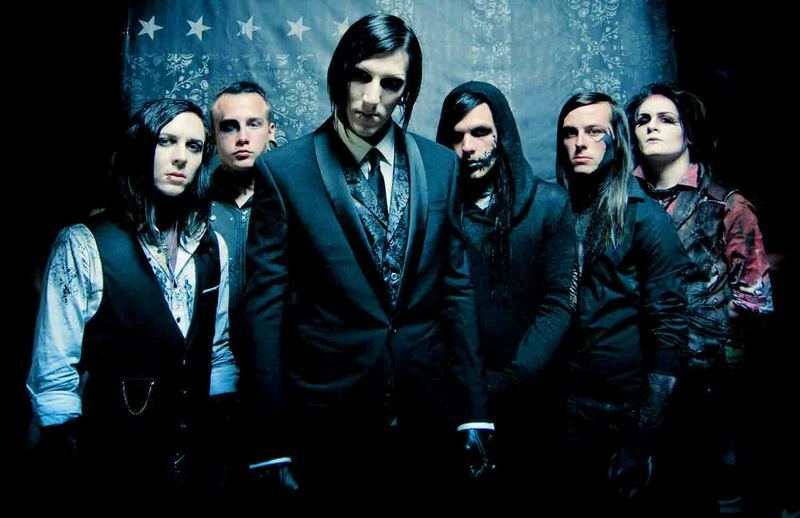 Reincarnate is the last Motionless in White album to be released on Fearless Records.On January 23, 2014 the band announced a short headlining tour in March with The Plot in You, Like Moths to Flames, For the Fallen Dreams, and The Defiled with For Today appearing in San Antonio. Following the tour the band entered the studio to work on their follow-up to their 2012 album, Infamous.On April 23, 2014, the band's third studio album, Reincarnate was announced through social media, with an intended release date of September 16, 2014 worldwide but would be released a day earlier in the UK only.The band stated that they would remain a quintet and work with touring and session drummers.On June 11, Fearless Records released a video featuring the album's artwork and contained a teaser for the first single of the album, Reincarnate, which was to be released on July 1, but was instead released on July 8. Puppets 3 (The Grand Finale) was released on iTunes on Tuesday August 5.The album artwork was revealed in the teaser video released on June 11.It was created by Chad Michael Ward and features model Harper Leigh.After the album's announcement in July and pre-orders where made available, it was also reported that a deluxe edition of the album would also include a bible-styled case for the physical copy.The album was listed as one of the most anticipated releases of 2014 by Altpress.com.The first single released off the album was the song of the same name and was released on July 8 after a weeks delay and was issued with a lyric video.After the album's official announcement pre-orders were made available of which included many bundles including; bracelets, denim vests, necklaces and signed posters.After the song's release the track list also became available, revealing thirteen tracks (fourteen including the bonus track) and included featured artists such as; Dani Filth of Cradle of Filth, Maria Brink of In This Moment and Tim Skold formerly of Marilyn Manson and KMFDM.The song "Puppets 3 (The Grand Finale)", featuring Dani Filth of the extreme metal band Cradle of Filth was released on August 5 to promote the album and was also distributed with a lyric video.To promote their album they streamed the non-deluxe album in full on September 11 after announcing a scavenger hunt to find eleven miniature wooden coffins which all contained a track from the album, nine stationed in American cities, one in Canada and the other in London, England. 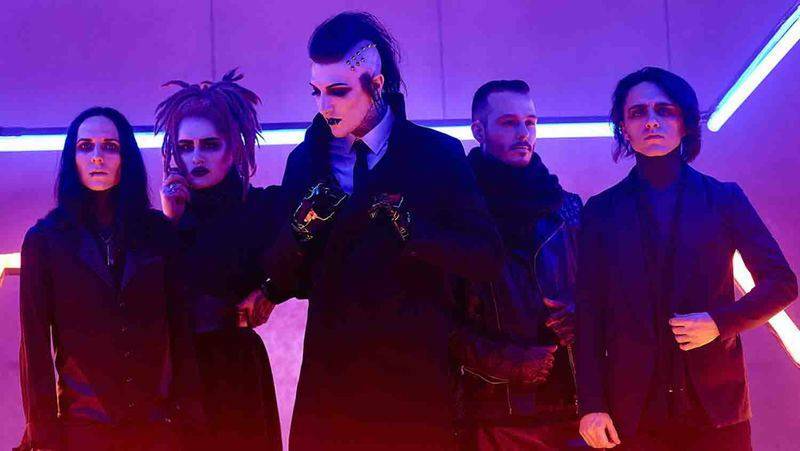 Once all had been found the album was put up online for streaming.The first music video to be released for the album for the first single "Reincarnate" was uploaded to YouTube by the band's record label on the same date as the album's international release, September 16, 2014. The music video was filmed in the same location that the album cover was shot at, later revealed as the Alexandria Hotel in Downtown Los Angeles and is a means of "...bringing the artwork to life...".The song "Unstoppable", was used as the official theme song for WWE NXT TakeOver: Unstoppable.